It’s hard to believe that we are approaching back to school already. Whether this is your first year sending your little one to school or you’ve done this a few times, the first day of school can be filled with excitement and even some anxiety. Or if you’re like me and sent your oldest off to his first day of preschool last year, then there were tears that were shed. Starting some first day of school traditions is a great way to ease the anxiety and make some fun memories to look back on. Here are some of our favorite ways to celebrate the first day of school and make it extra special! 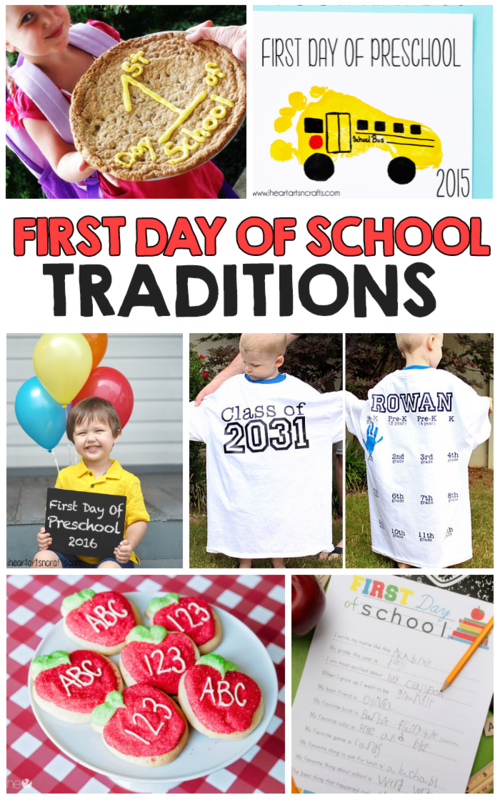 10 FIRST DAY OF SCHOOL TRADITIONS TO START THIS YEAR! First you’ll want to prep the room for their special breakfast. Balloons are always the perfect touch for any kind of celebration. My kids faces always light up when they see a room full of balloons. So of course, we decorated the table with some balloons using our Balloon Time Helium Tank. 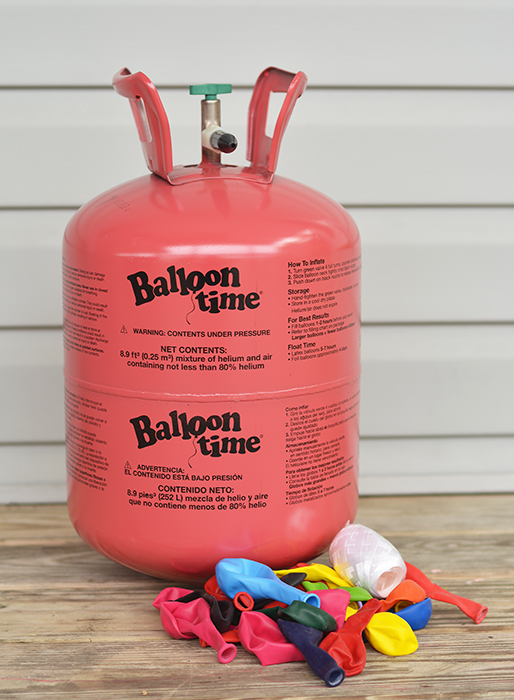 What’s great is, when you buy your Balloon Time Helium Tank it comes with everything you need from the balloons and the string. To fill your balloons is easy, simply turn the nozzle counter-clockwise, slide the balloon onto the black nozzle and press down to fill it, then tie a knot and attach your ribbon. Fill up as many as you’d like using your helium tank and tie them to the back of the chair. 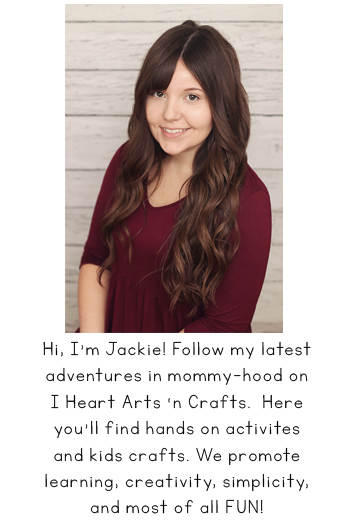 Make sure to save these for your first day of school photos for after breakfast too! 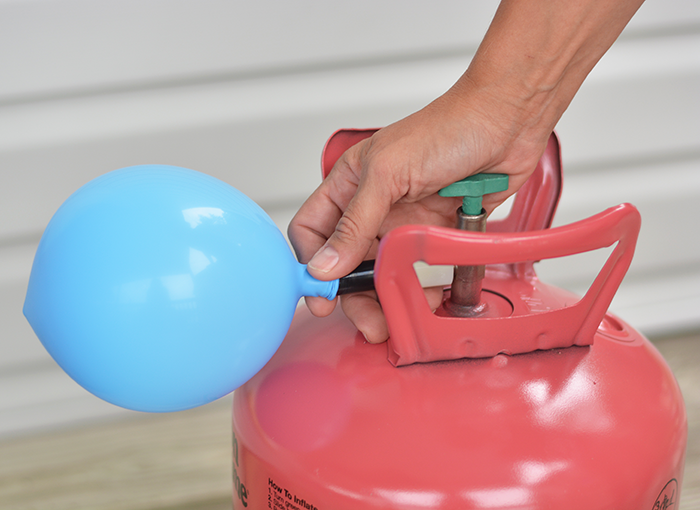 To store your helium tank simple turn the knob clockwise and save it for your next celebration! Then we surprised our son by setting up some extra fun school supplies on the table at breakfast. And finish by serving up their favorite breakfast meal! This is a great time to sit down and talk them before they leave. Whether they’re excited or nervous, you can take that time to help ease those first day of school jitters. You can’t forget to take the first day of school photos. 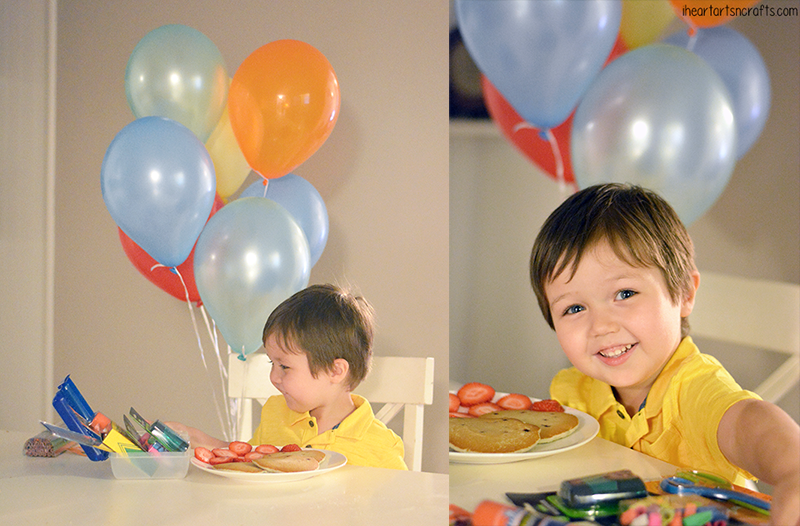 For our photo we used the balloons from our breakfast that we filled using our Balloon Time Helium Tank. You can use a regular chalk board for a photo prop or download and print your own sign here. This is another fun way to surprise them with balloons. 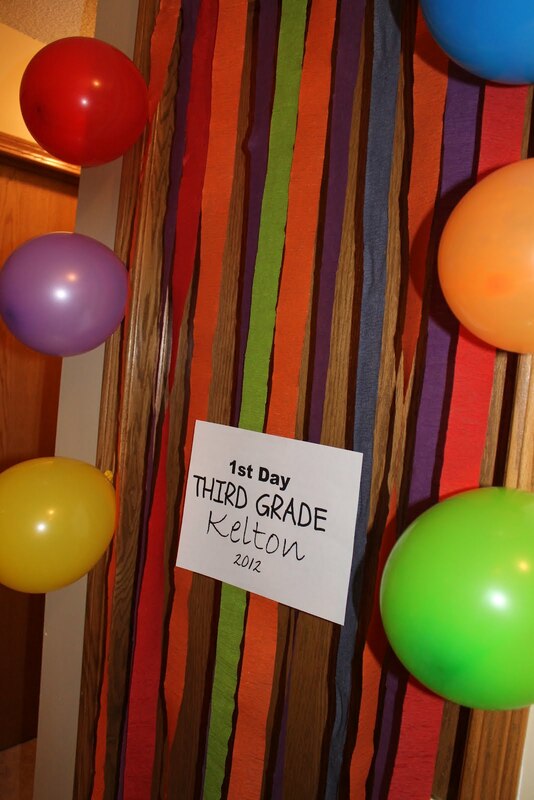 Decorate their door while they’re sleeping with streamers and balloons! Document their excitement with a back to school interview. This is perfect for your scrapbook and something to start yearly! Here’s a free printable version that you can download and print. Take them out on a special one on one date before the big day or make it a family weekend trip. 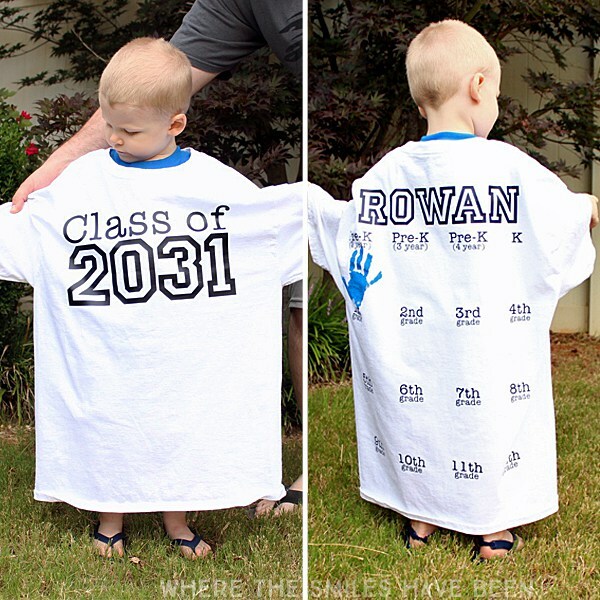 Make your own yearly handprint back to school t-shirt as a photo prop and adorable keepsake! 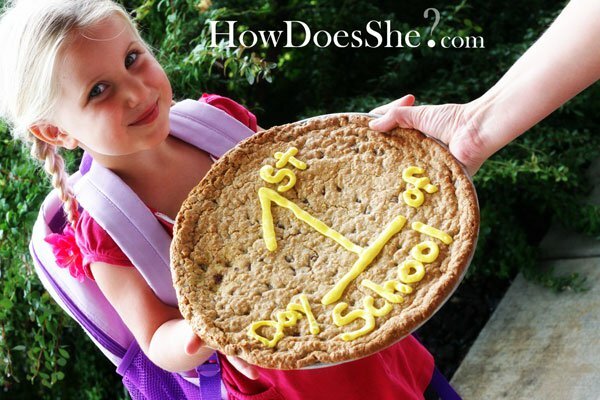 Surprise your kids with the best after school snack…a giant first day of school cookie! 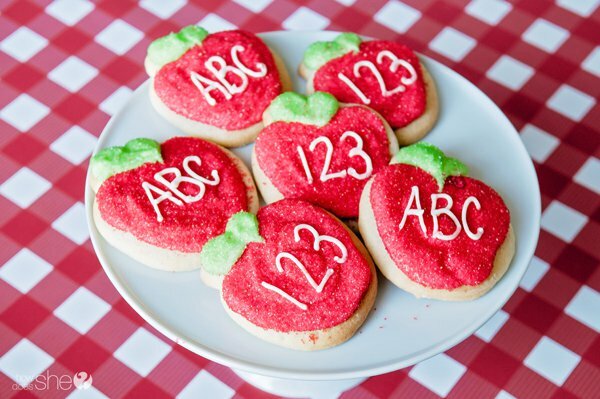 Make some first day of school memento’s by doing handprint/footprints craft every year.Here are some ideas for some school themed ones including a handprint apple and footprint bus craft. Plan a Back To School Dinner the night before to celebrate the first day of school. 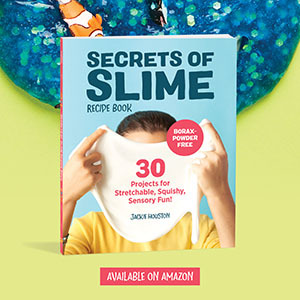 How Does She has some creative ideas here to make your dinner extra special! Calm the first day of school jitters with this gift idea with a free printable. This trick will help calm her nerves and she’ll think of you while she’s wearing her bracelet. Make sure to check out Balloon Time on YouTube for other fun projects and inspiration! Have a great new school year! 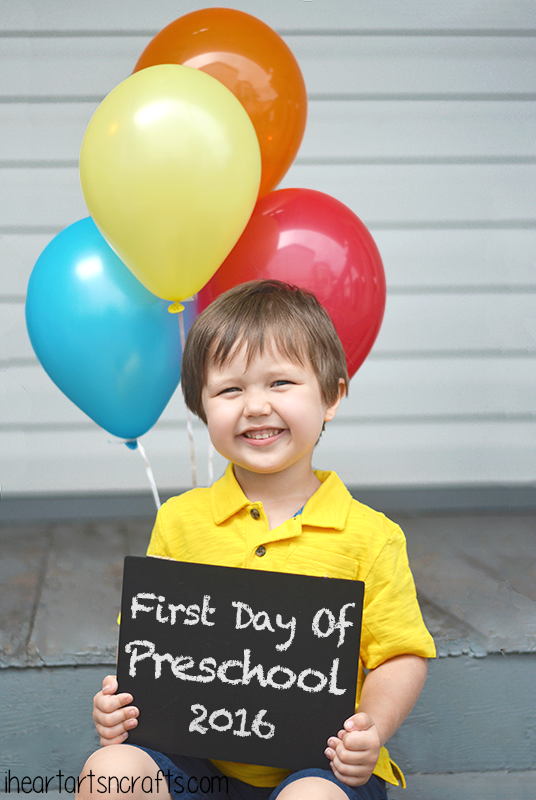 Share some of your favorite ways to celebrate the first day of school in the comments! This is a sponsored conversation written by me on behalf of Balloon Time. The opinions and text are all mine.